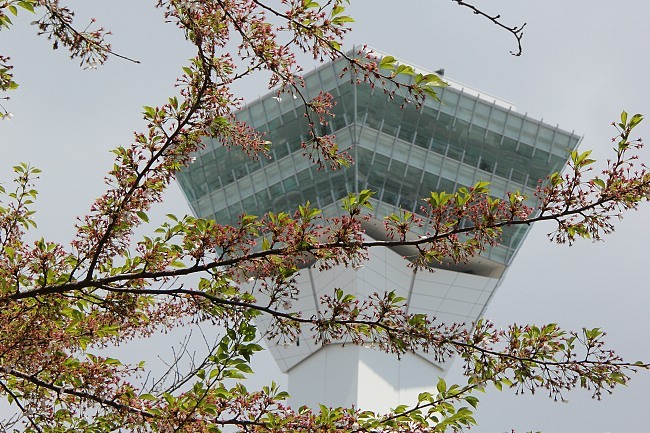 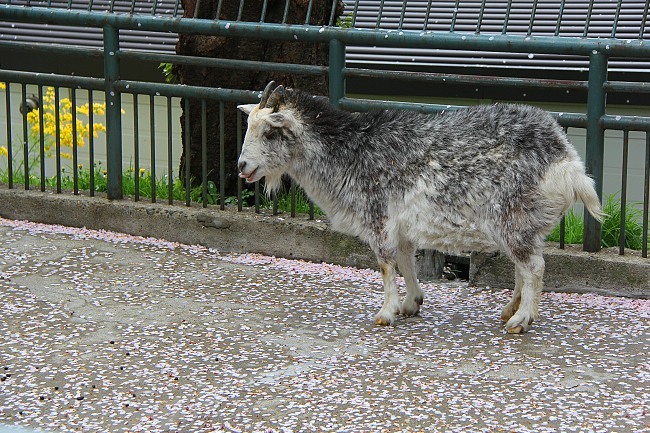 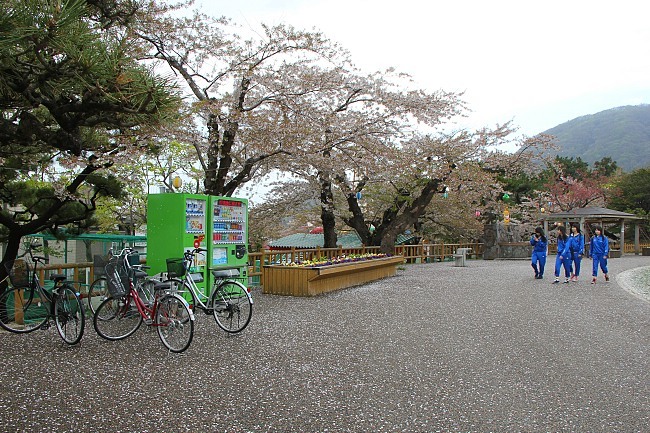 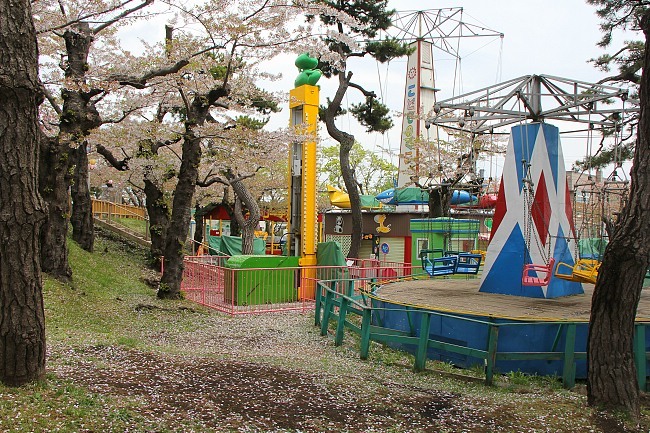 Today, we bring you our last cherry blossom report for the year from Hakodate, Hokkaido. 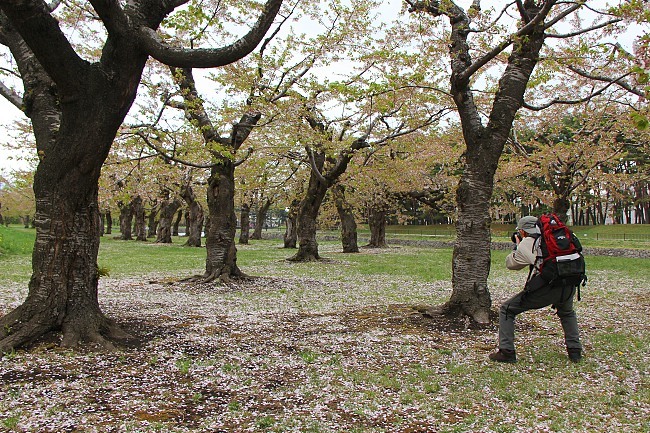 2014 has been an early year for the sakura in Hokkaido, with many areas across the island prefecture observing the opening of the cherry blossoms between two to seven days earlier than the average year. 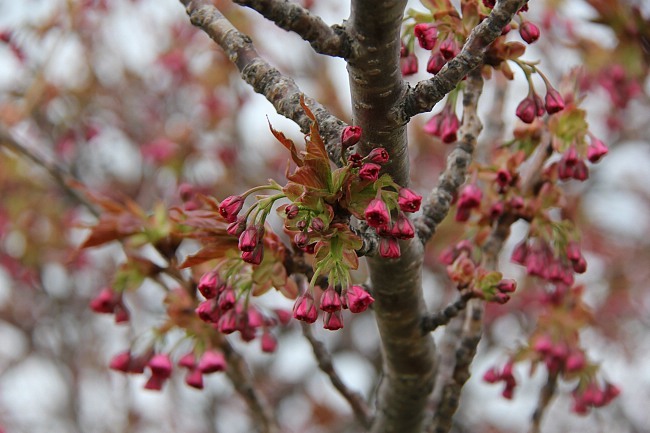 In Hakodate, the cherry blossoms started opening on April 28 and reached their peak on May 1, three days earlier than the mean date and eleven days earlier than last year. 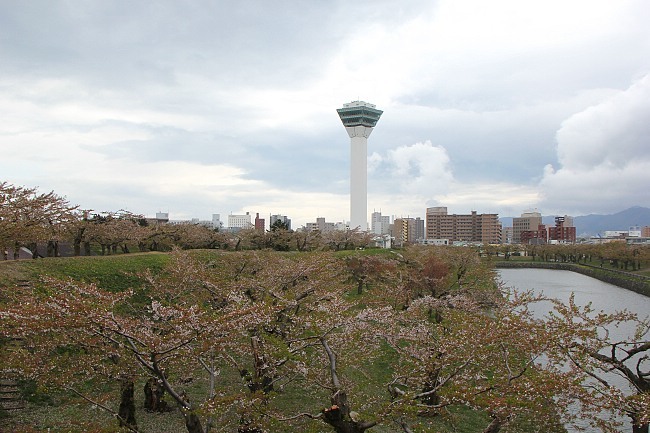 I visited the city's popular cherry blossom spots: Hakodate Park and Fort Goryokaku. 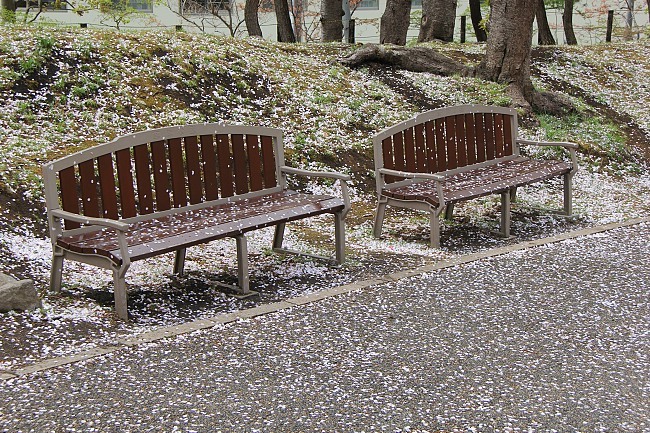 I managed to catch some lovely views at the park, less of cherry blossoms that were still on the trees, but rather of the fallen petals nestling themselves on the lawns and flirting in the wind above the paths. 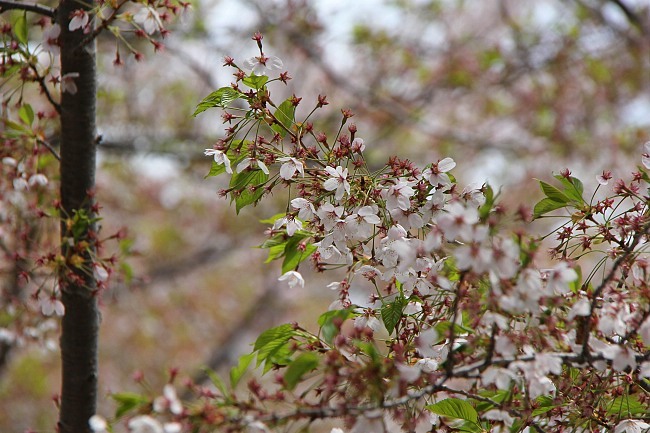 A festival stall owner lamented that the cherry trees were still looking pretty full two days ago, until the recent rain took its toll. 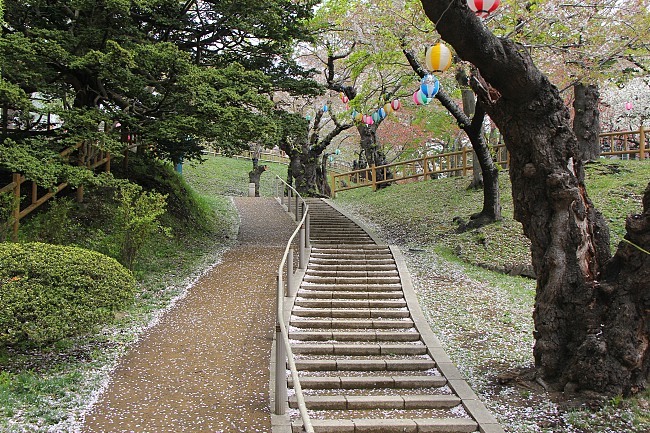 While the stalls are scheduled to remain until May 18, this weekend is probably your last chance to catch vestiges of the sakura here, before even the petals on the ground get swept away by the park attendants. 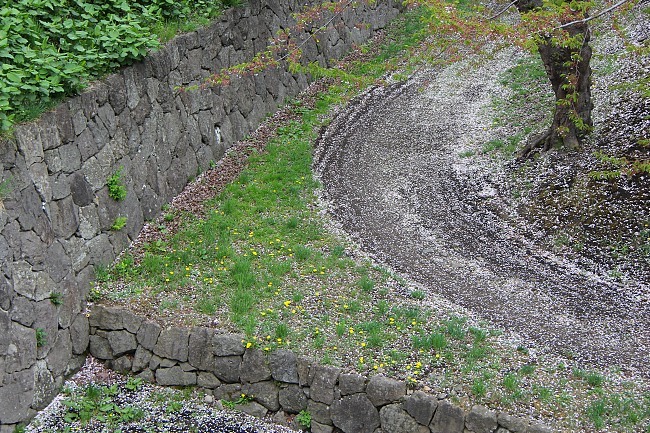 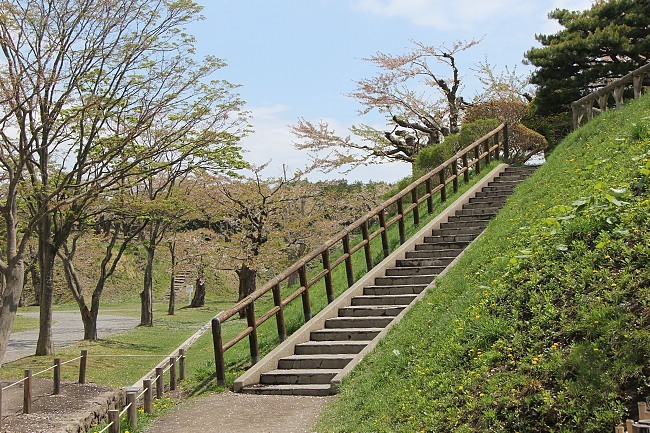 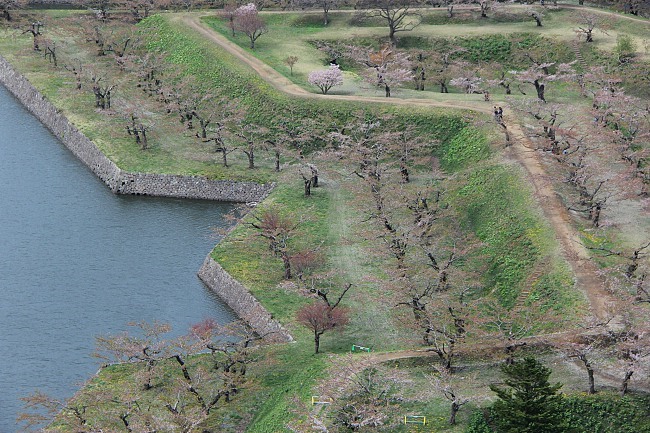 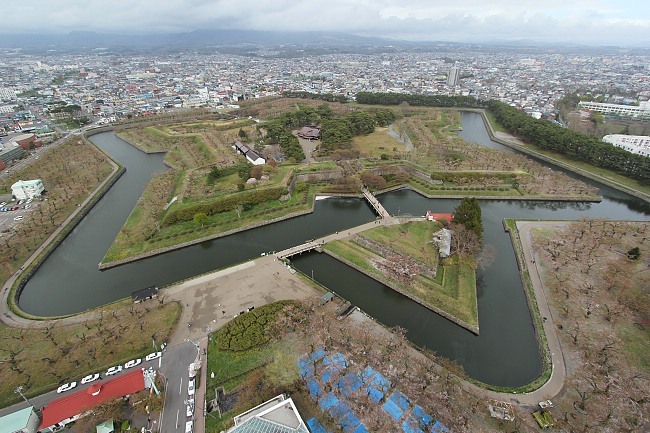 Fort Goryokaku is a charming Western-style star-shaped cherry tree-filled citadel. 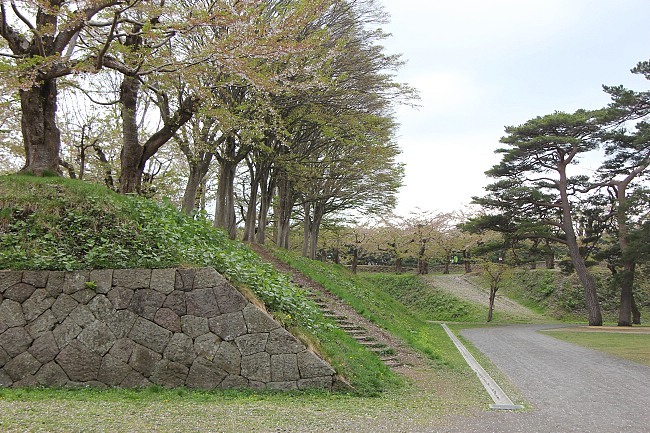 This is the fortress where the final battle of the civil Boshin War took place in the 1860s, as the country entered into the Meiji Period. 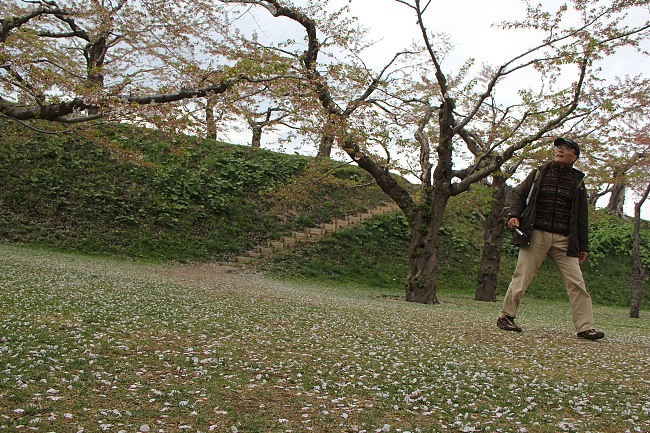 The fort is otherwise known (only by my colleagues) as one of my three favorite cherry blossom spots in Japan. 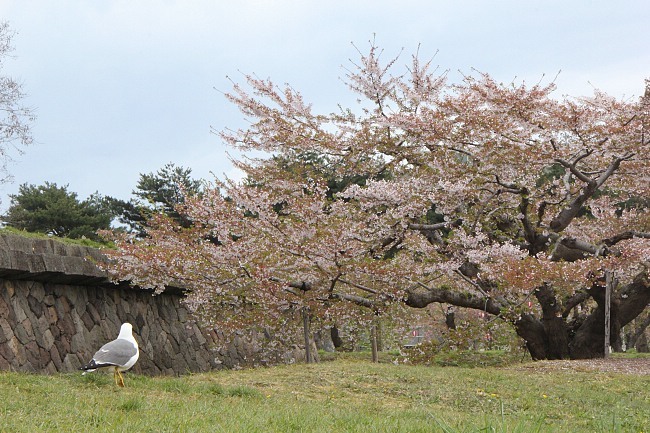 Today, even with only less than 10% of the petals still left on the cherry trees' branches, the fort, which is now a public park, was a beauty. 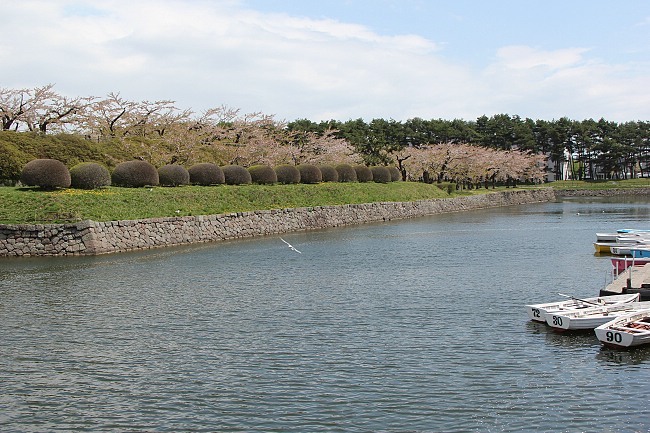 I could almost recommend someone who specifically wants to see cherry blossoms to come just to see the remaining calyxes and stamens of the blossoms, because they contrasted well with the brown branches, the green vegetation, the grey stone walls, the yellow Tanpopo flowers, the white pigeons, the blue water in the moat, and Goryokaku Tower standing proudly in the backdrop. 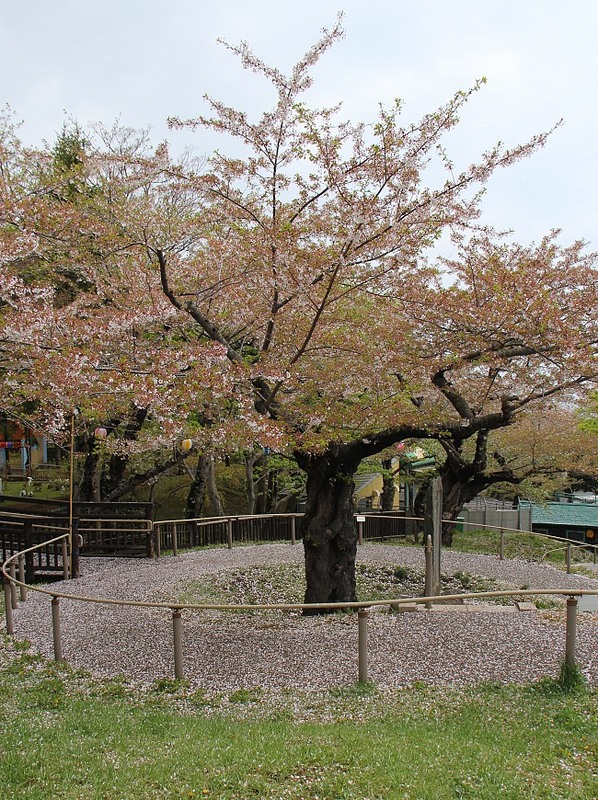 There were many Kanzan cherry trees at the fort too, and their flowers were only beginning to open. 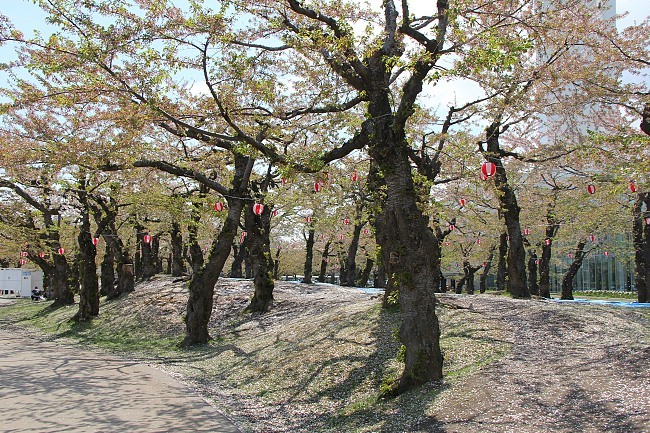 These cherry trees will need another three to five days of warm weather before they are likely to be at their best. 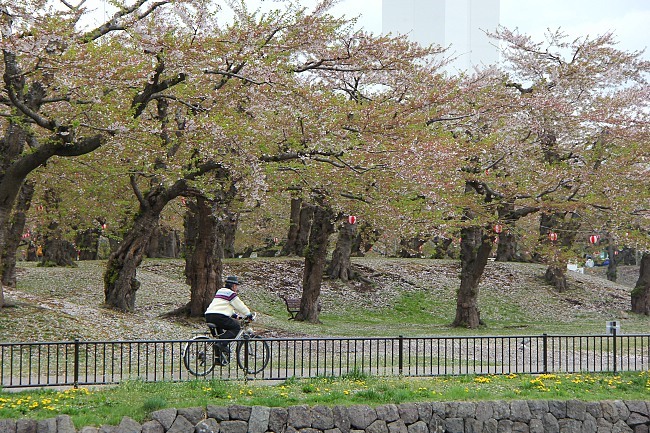 With that, I sign off, and on behalf of the japan-guide team we would like to thank all readers for your continuous support. 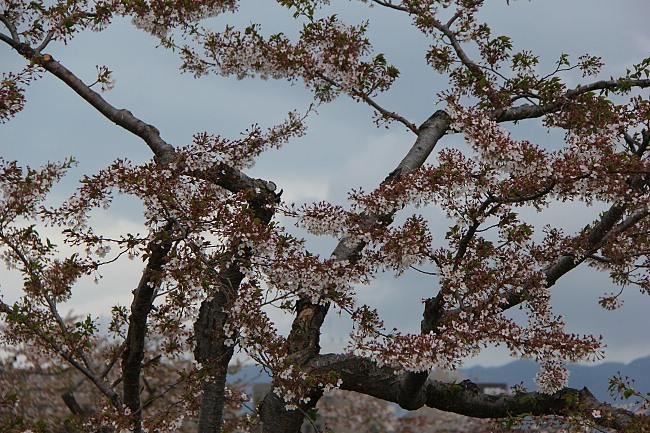 For a review of this year's cherry blossom season, please see this page.